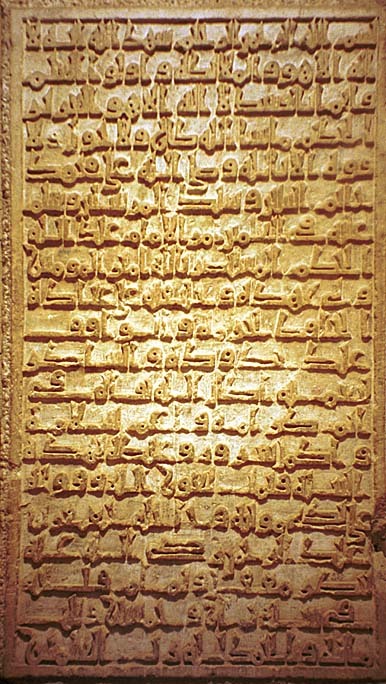 Writing, in both arabic and roman script, is part of La Gran Mezquita. This panel is on the outside of La Gran Mezquita, about 15 feet off the ground near the main entrance. La Gran Mezquita, like many churches, serves as a burial ground. 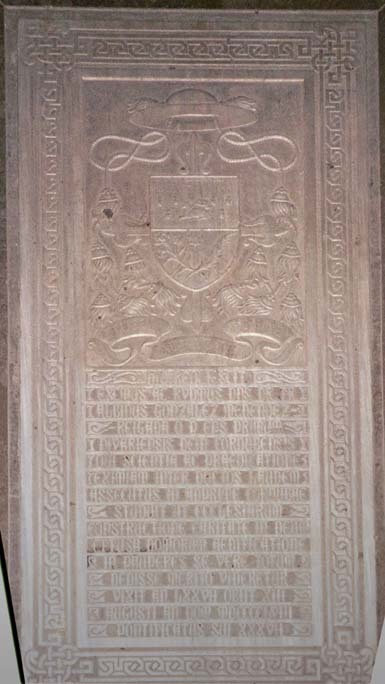 Here is a tombstone. 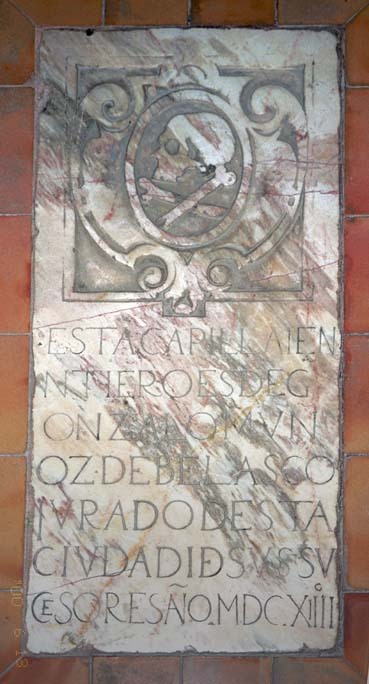 This tombstone in the floor is dated 1614. This plaque is on the wall. 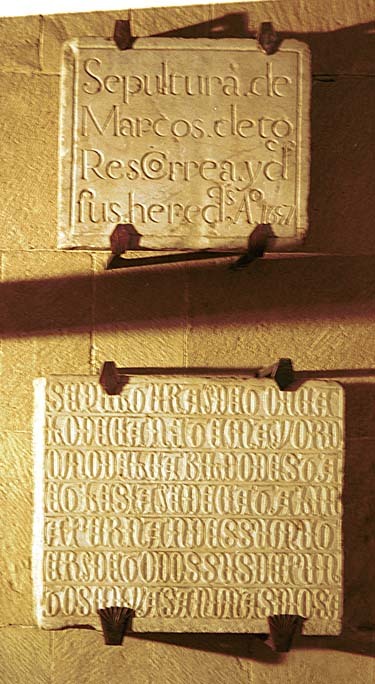 Here are two more stone plaques, held up by iron spikes. 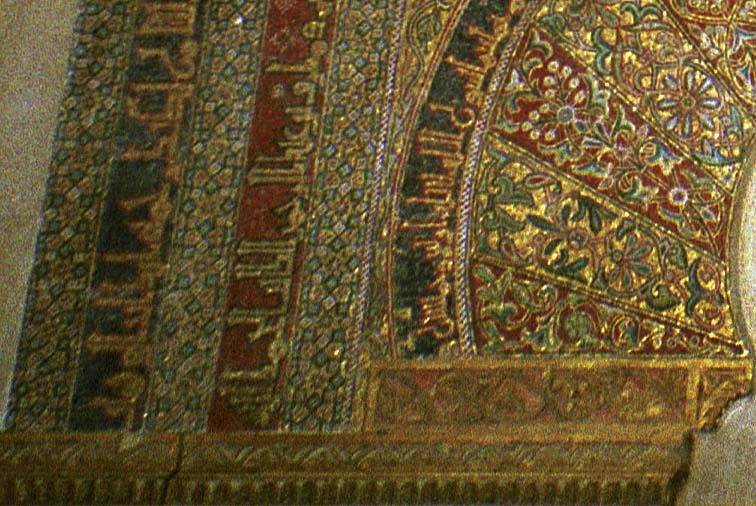 This is detail of the calligraphy in the design around the arch above the door shown in a previous page.